You will love living at the Royal Woods Ascot!! This corner unit condo has the best location in the building!! It is on the quiet side of the building located on the top floor facing the south-west. It has not one, but TWO gorgeous balconies! One is glassed in, the other is open, both with amazing views. With two balconies you are able to enjoy sunshine all day and beautiful sunsets in the evening. This suite is incredibly spacious. The main level has two bedrooms and two bathrooms. There is also an enormous loft on the second level perfect for a guest bedroom, office, or hobby space. The ceilings are an amazing 13’ high! 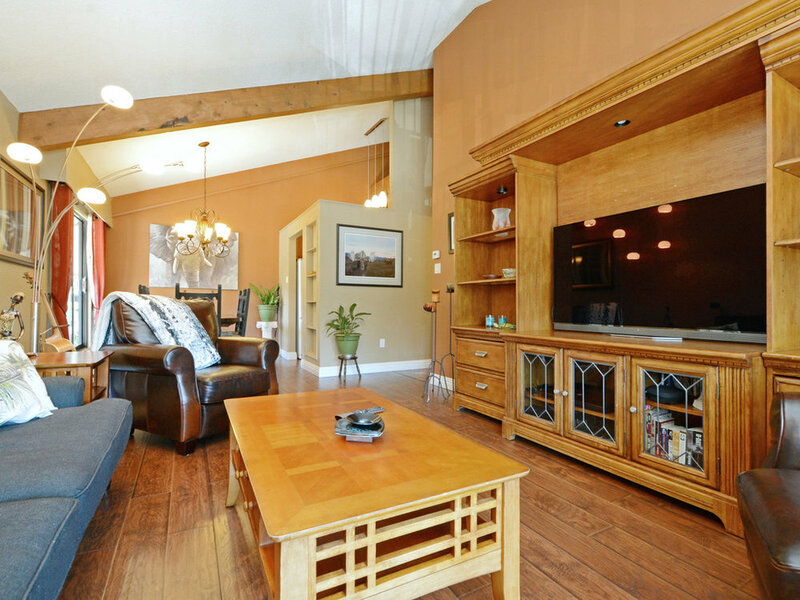 The high vaulted ceilings with beams add to the incredible spacious feeling of the layout. There is also a proper dining area and a large living room, both perfect for quiet nights in as well as entertaining guests. Beautiful updates include a new kitchen, new laminate flooring, fresh paint, and bathroom upgrades. The Strata fees include heat, hot water, and ALL the amenities which include a pool, hot tub, sauna, fitness center, workshop, lounge, billiards room, bike storage, hobby room, and plenty of visitor parking. Living here you will be within walking distance to Thrifty’s, shops, and plenty of restaurants. There is also a bus that goes to UVic or to downtown. You will love living at the Royal Woods Ascot! Be sure to come to one of the Open Houses or call today to view!